Pop Up Backstop - adds a realistic feel to your games. Multi Purpose Design - can flip around to become a football goal or bowling net. Amp up your backyard cricket! 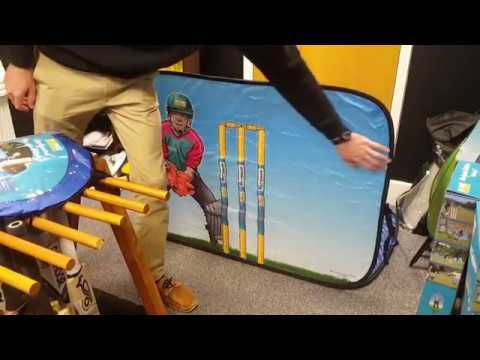 The Home Ground Backyard Pop Up Wicky is an exciting new innovation from Dimension Sport, the company that brought you the Paceman Cricket Bowling Machines. The Home Ground Pop Up Wicky is a great pop up backstop that will add a realistic feel to your games. Its multi purpose design means it can also flip around to become a fielding, bowling or football net.